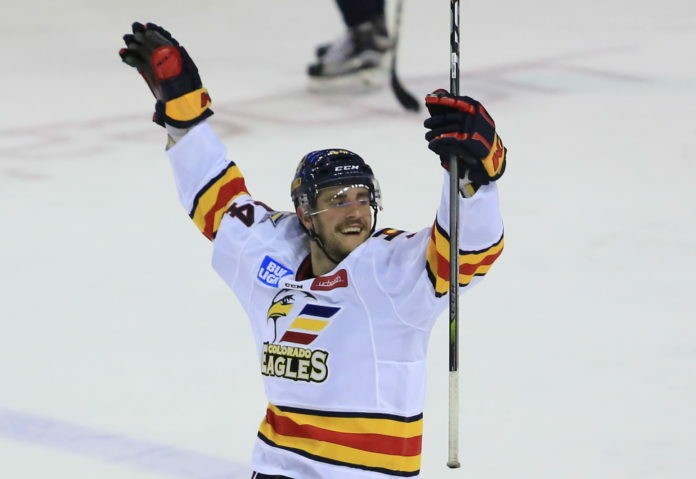 After playing his collegiate career for the University of Vermont, and a few stints with the AHL’s San Antonio Rampage, Brady Shaw is finding plenty of early success with the 2017 Kelly Cup champion Colorado Eagles in his first full season in the ECHL. In his first few games of the season, Shaw has contributed eight points, and has quickly become a fan-favorite for his highly skilled offensive style of play. After signing a professional tryout with the Colorado Eagles earlier this year, Shaw has given the team several reasons to keep him in the lineup, providing the team with plenty offensive punch to get the Eagles off to another strong start to the season. In the majority of cases, it is rare for a collegiate player to be called up to the AHL following their collegiate career. 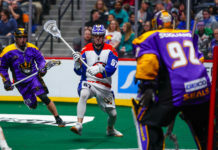 However, this was the case for Shaw, as he was able to gain some valuable experience when he was called up to play a few games for the San Antonio Rampage. Making the jump from the NCAA to the AHL is not an easy step, but the transition taught Shaw some valuable lessons, and has allowed him with plenty of experience heading into his first full season with the Colorado Eagles. 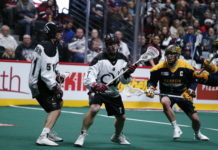 Opportunities to gain valuable experience continued to pile up for Shaw as he took part in training camp for the Colorado Avalanche earlier this season. 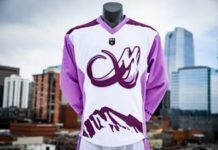 There, he would compete in the annual rookie tournament in San Jose, Avalanche preseason games, as well as the annual Burgundy and White game at Magness Arena. Gaining some experience between the Avalanche training camp and the San Antonio Rampage has allowed Shaw to learn and adapt to what it will take for him to reach his ultimate goal — gaining a full-time role in the NHL. With the Eagles having a target on their back after winning the Kelly Cup last season, Shaw has been able to provide the Eagles management plenty of reasons as to why they made the right decision giving him an opportunity. No doubt that Shaw will continue to be a large component for the Eagles as they attempt to defend their Kelly Cup crown.